The Mahjarrat are a race of mortals who came from the realm of Frenskae. The actual spelling of the place is unknown. It is good to know about the Mahjarrat, so people will understand that they are just mortal beings who are not gods. Their home world is full of violence, suffering, violence, death, and more violence. Due to this they train themselves almost constantly. They were originally controlled by Icthlarin until Zaros took control. A major difference between the race of Mahjarrat and the race of humans is that they live very long, although they eventually will die of old age. The Dragonnite metal is from Frenskae, and there it was smithed into the dragon items we use today. Who smithed them? We don't know for sure but it is highly likely it was the Mahjarrat, they brought it over here to Gielinor during the first god wars of Gielinor. The Mahjarrat were one of Zaros' most prized armies. A large group led by Zamorak overthrew Zaros, and now those who followed Zaros are few in number. Most of the Mahjarrat are now dead, gone, or in hiding. This guide holds info on the only ten Mahjarrat that are known of. Agrith-Naar also goes by the name of Denath. 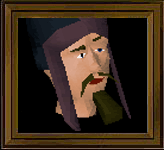 It is presumed that he stayed in the world of Frenskae, that he didn't come to Gielinor with the rest, but it is also possible that he did come with the rest of the known Mahjarrat, and that the "demonic plane" spoken of isn't Frenskae, but a new world. Anyways, Agrith-Naar was summoned from that area of existence once long ago by a person named Ellenar. Ellenar was a follower of Saradomin who was executed for summoning Agrith-Naar. When he was only doing it to help Saradomin instead of hurt him. Which may mean that Agrith-Naar was one of the "good" Mahjarrat like Saradomin was. So now Agrith-Naar has been stuck in the world of Gielinor where some of his fellow members of the Mahjarrat race live, and he wants to go back to the "demonic plane" he talks of, which further increases the possibility of him being good, because why couldn't he just go live with another member of his race instead of running from them. He receives helps from eight humans by deceiving them into thinking their dreams will come true when they cast a spell, but the spell merely takes him back to that "plane." Through much toil, the humans finally cast the spell and he returns back to where he wishes to be, but then one of the eight he uses re-summons him, and slays him. Akthanakos was one of the Mahjarrat who didn't betray Zaros when Zamorak overthrew him. 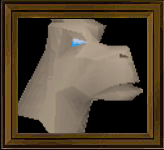 When Akthanakos came to Gielinor, he came to the desert. He apparently has the head of a camel, and this is why the deep desert camels are called what they are called. 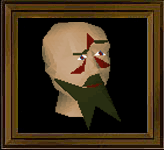 Akthanakos had a rival named Enakhra, who followed Zamorak and defeated Akthanakos. 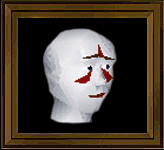 When he was defeated he was turned into a Boneguard and forced to guard Enakhra's temple to Zamorak. He still seeks revenge on her and when a mortal human helps free him from Enakhra's grasp, he chases after her to the north. Azzanadra is a follower of Zaros. He seemed to have trained himself mainly with the magic of his master. After the fall of Zaros he kept on fighting against Zamorak and Saradomin and found out that he had gained immortality, possibly from his loyalty to his master. So they locked him up in a Pyramid and divided his essence into four diamonds. He seems to have a dog head like that of Icthlarin, although that may just be from his helmet. Whether or not he is currently dead is uncertain because he seems dead but doesn't act like it. Perhaps we cannot tell due to our lack of understanding the Mahjarrat race itself. 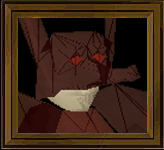 Enakhra is one of Zamorak's fellow traitors of Zaros. She knows the magic of the master she helped defeat and she also defeated her rival Akthanakos. In the desert she had constructed a temple dedicated to her lord Zamorak, and she turned her defeated rival into a Boneguard to protect the temple. After being defeated, Akthanakos wishes to seek revenge which he eventually achieves because of slight help from a human mortal. After the hold on him was released, she flees to the north do battle once again with Akthanakos. Hazeel was close to Zamorak, he was like Zamorak's brother. He was one of the Mahjarrat who sided with Zamorak but was killed many years ago and his belongings were inherited by the Carnillean family. Hazeel has recently been reborn and he is off visiting one of his fellow Mahjarrat in the Ice Mountain, which is most likely The Oracle. Lucien helped take down Zaros. He was a mage of the Mahjarrat and helped protect the staff of Armadyl from Zaros. His pendant grants the wearer entrance to the Chamber of Fear. He resides in both the west side of East Ardougne and the north side of Varrock. He has died before, and will die some more, apparently he has found a way to not be fully killed in the normal manner, but when he is killed he loses the power he has been saving up and has to be reborn again. 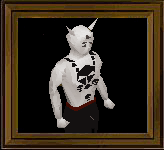 Saradomin is the only known Mahjarrat that we are sure has gone against the ways of his race, and stand for order and pleasantry rather than chaos and destruction. He apparently was an outcast due to this and he was forced to fight the members of his race to survive. 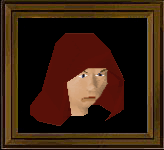 All rebel Mahjarrat were killed as soon as possible but Saradomin is most likely the only one who was able to sneak away long enough to become immortal. The one named Zamorak was his major foe, it is not known which rival gained godhood first, but when they did their battles became much worse and they had moved to the planet Gielinor possibly because they destroyed their own planet due to their battles. On our planet of Gielinor they raged more wars and destroyed our planet so much that a local god had to step in and cease the fight. The Oracle is considered by many to be a god, this is most certainly not true, he is most likely a survivor of the Mahjarrat race. He is a mysterious being, who some call wise, while others say insane. The Oracle's true name is never revealed, but he does help humans when they ask for it. 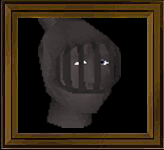 Zamorak achieved godhood possibly through a curse that his ex-master hexed him with, before a final blow was dealt, thus sending his ex-master into banishment into another realm by Zamorak's hands. It is not known if this was on purpose or by accident, and it is also not known if his godhood has made him better or worse. He had gotten a few members of his race to side with him before he slaughtered his master and there are still a few out there who will aid Zamorak in his next moment of need. But much later after that, Zamorak somehow got banished to another world, perhaps he broke the peace treaty the local god who stopped Saradomin and Zamorak from destroying Gielinor with, and the local god banished him, but elven followers of his are working hard to bring him back. Zemouregal is another Mahjarrat follower of Zamorak. Zemouregal confronted Arrav in the Land of Dreams and tried to steal his shield. Whether or not he truly is a Mahjarrat has not been proven. This is because he is out of our lifespan, and is now either dead or in hiding. The Mahjarrat are a mysterious, elusive, and mainly unknown race. There is good chance the first of the Mahjarrat populated the southern part of the island of Karamja, and the "Natives" that live there today are merely the offspring of those Mahjarrat and actual Gielinorians (humans). This could explain their strength, and even their ability to speak with the ancient spirits; who might actually be those first Mahjarrat. In fact, some argue that Vannaka the Slayer Master and Newbie Fighting Trainer is a Mahjarrat himself. They say he may be an offspring of the originals or even one of the originals himself. Some believe these things because of the face paintings matching those of the Mahjarrat race, this may be for remembering the Mahjarrat of the past, or it may be a giant coincidence.